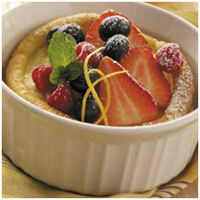 Another site for Valentine's recipes is All Recipes. One of their first suggestions is for Valentine's Day breakfast in bed featuring eggs Benedict. Of the 14 reviews for their Lollipop Cookie Valentines, readers gave the recipe a four out of five stars. A site with recipes divided into categories is Food.com. 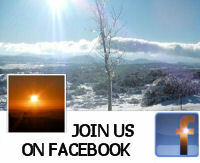 The site lists popular recipes, newest recipes, healthy recipes, quick and easy recipes, and recommended recipes. The categories make it more likely you will find the recipe you are looking for more easily. 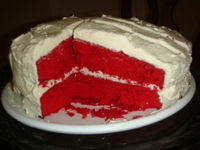 So, if you are looking for County Fair Red Velvet Cake, you should find it pretty quickly. Taste of Home divides the day into breakfast, brunch, appetizers and dinners. This site also has a section for Valentine's Day recipe collections. The Puffy Oven Pancakes recipe seen here, makes your mouth water. Disney's Family Fun offers recipes for the kids and families. It has several sections where you can find family friendly recipes. 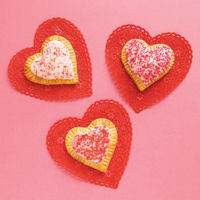 The section on Valentine's Day Treats offers almost forty different ideas with excellent pictures and directions. 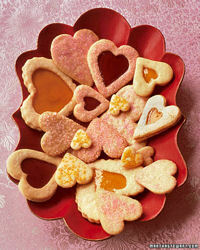 The Site Joy of Baking has many Valentine's Day baking recipes of course. The site has one of the best ways to make sure you complete their recipes well, videos. Almost all of the recipes have a video you can watch to help you to be successful making the desserts. Just in case you have not found what you are looking for, here are 52 more recipes from the Valentine's Day section of Martha Stewart's site. The photos here make everything look so scrumptious! When going to a recipe, you will find other similar recipes to choose from. So, all in all, even though there are more recipe sites to be found, it seems you should be able to find something you just cannot do without among the hundreds of recipes on the listed sites. The photos used for this article came from the sites listed.